Yun Shouping (惲壽平, 1633–1690), sobriquet Nantian (南田), was a major Chinese artist of the early Qing dynasty (1644–1911). Together with the Four Wangs and Wu Li (吳歷, 1632–1718), he is grouped among the “Six Masters” of the early Qing period. 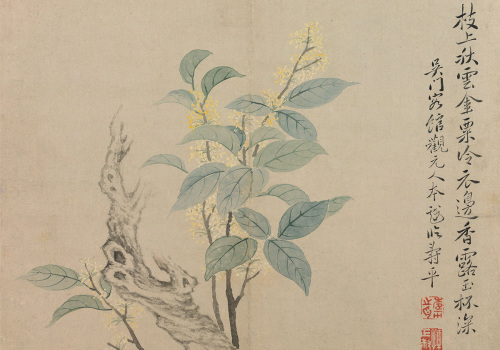 He and these other artists continued the orthodox tradition of painting, following the great codifications of the painter and art theoretician Dong Qichang (董其昌, 1555–1636). Yun Shouping had an adventure-filled early life. Following the collapse of the Ming dynasty, Yun was taken along in flight by his father, a Ming loyalist, then separated from his father and adopted by a high-placed family among the ruling Manchus, and, finally, restored by stealth to his father in a Buddhist monastery. Yun Shouping refused to serve the foreign Manchus but instead cultivated the learned arts of poetry, calligraphy, and painting. 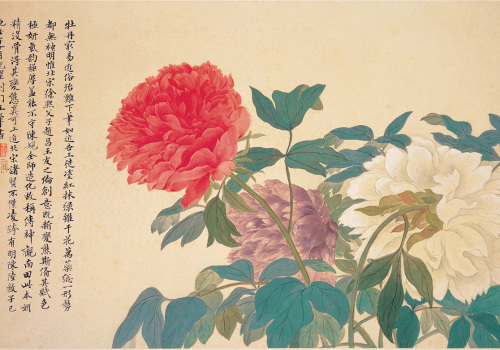 He was a contemporary and close friend of the rich and famous Wang Hui (王翬, 1632–1717), and Yun much admired him—even to the extent, it is said, of admitting the other’s greater mastery in the art of landscape, and thus focusing on flower painting instead. 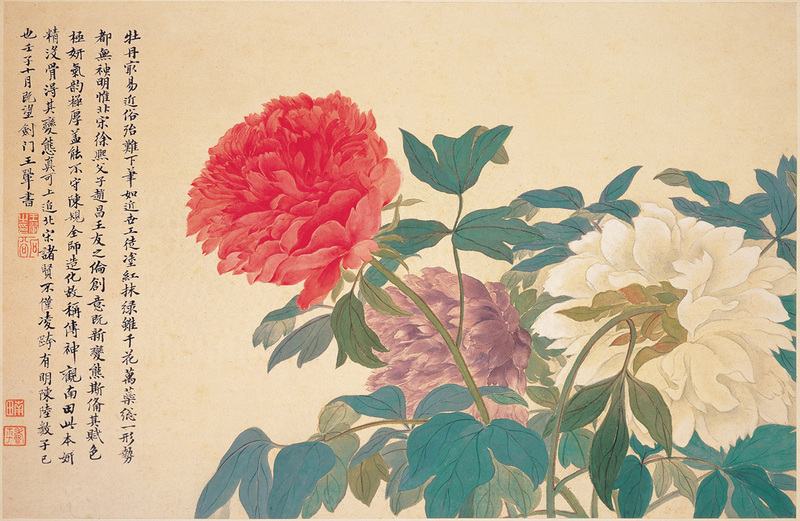 Yun Shouping is generally associated with the painting of flowers, usually in a “boneless” (沒骨, mogu) manner that emphasizes washes instead of lines. 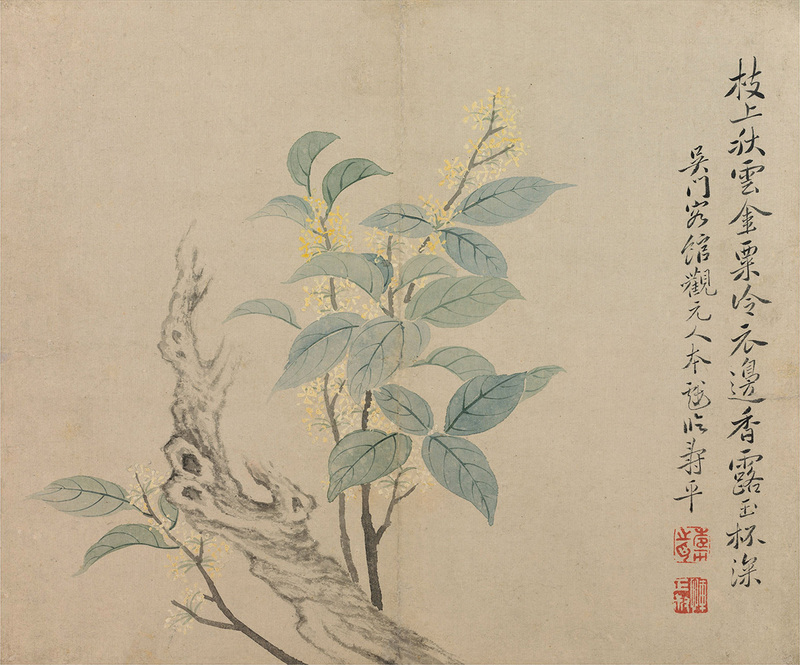 Yun earned the respect of both his contemporaries and later generations as an appropriate representative of the school of “literati painting” (文人畫, wenrenhua).